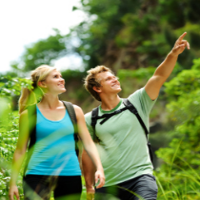 If you're looking to enjoy the finest New York hiking, we've provided a multitude of great hiking trails in NY that cater to both casual and experienced hikers. 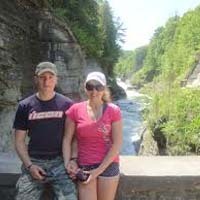 Some of the Best Hiking in New York! Visit the Mohonk Preserve and find out why its hiking trails were named "Best of the Hudson Valley" by Hudson Valley Magazine! The Shawangunk Sensory Trail is a level, self-guiding, 15-minute loop with all sorts of great outdoor exhibits. Or embark upon the Trapps Mountain Hamlet Path to the Van Leuven Cabin, and explore a vanished mountaintop community. 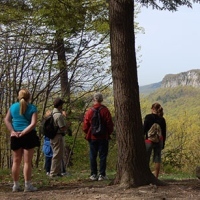 Whether you're looking for a short hike, a leisurely stroll, or an uphill challenge--you will find any hiking trail you desire at the Mohonk Preserve. Other cool activities at the preserve include biking, horseback riding, running, skiing, snowshoeing, and hunting. Whether you are a beginner or an experienced hiker, at Appalachian Mountain Club you will get one of the most enjoyable hiking experiences in NY. Take a walk through the wonderful Harriman State Park, the second largest state park in NY, Fire Island or Sandy Hook and forget about your everyday problems. Bring your food, snacks, water, the suntan lotion and good will, and prepare for an all-day outing in nature. If you become a member, you will have access to over 1,000 local trips a year and get a discount on AMC lodging, books and maps. Want to attempt an unforgettable tour with your friends & family? Try hiking in New York. Discover Outdoors can arrange awesome trips. Here, you will get a combination of a knowledgeable personal guide and unique locations and activities. Going on their trip is like passing time in a dream. Climb mountains and experience the rush at the top with the fantastic views. Take a walk around the seemingly unlimited number of ponds and lakes. Follow a river to its highest source or watch the animals in a colored field. Drink the freshest water. At the reading time you have already started to do these all, right? So, hurry up! Prepare yourself and your group to make it real. The Catskills Mountains are well worth a visit if you are looking for the best hiking trails in NY. 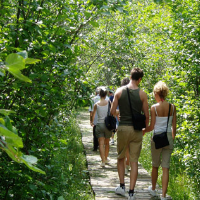 This nature gem boasts of having more than 300 miles of well-maintained nature trails. Whether you are a beginner or an experienced hiker, the Catskills offers trails for people of all abilities. This region is also home to some of the most beautiful and diverse landscape views in NY. Catskills trails take you from gentle hills and lush woods to picturesque waterfalls and breathtaking vantage points. For more information about trails, visiting hours and hiking seasons, visit the Catskills' main website. Whenever someone recommends a trip to New York, most people immediately think of the Statue of Liberty, skyscrapers and other city attractions. However, NY has plenty to offer, including nature attractions for those that love to explore the great outdoors. The Pawling Nature Reserve is among the many hidden nature gems where NY hiking opportunities abound. The rich flora and fauna found in the reserve provide the perfect atmosphere where hikers can commune with nature. From coyotes and beavers to bobcats, wild turkeys and numerous bird species, Pawling Nature Reserve is home to a wide range of animals. You can also get a glimpse of the rare Devil’s Bit plant while on a hike. The reserve opens all year round to hikers. Explore New York’s Vast Natural Beauty! The Letchworth State Park is one of the largest recreational grounds in the nine state facilities of Genesee State Park region. Located on more than 14000 acres of land, the park runs along the Genesee River. Rock formations on the river banks are quite evident, with cliffs rising to a height of almost 600 feet. The park is also home to three towering waterfalls which add beauty to the surrounding landscape. 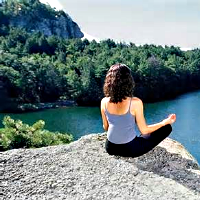 Due to the diverse natural beauty of Letchoworth State Park, it is one of the prime destinations to go hiking in NY. More than 28 trails crisscross the park, with hiking ease ranging from moderate to difficult. Letchworth State Park opens to the public all through the week from 6:00am to 11:00pm. Do you want to experience an unforgettable nature trip while visiting New York? Try hiking the Adirondack Mountains. A visit here will allow you to explore the beauty of rugged mountains, unspoiled wilderness as well as serene lakes and ponds. Hiking through the endless Adirondack trails is a unique experience that provides adventure at every turn. Tee off your trek from the foot hills of the Lake George region and discover backcountry trails which wind through hills, rustic pasturelands and wild forest. 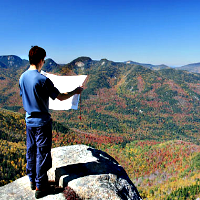 Climb one of the 46 Adirondack High peaks and relish panoramic views of the Lake Placid region. Or paddle through the large network of lakes, ponds and rivers that make up the Adirondack waterways system. With such a wide range of natural attractions, the Adirondack Park and Mountains provide the ultimate hiking experience in NY! Escape into a World of Natural Beauty! Perched on the dramatic Shawangunk Mountain Ridge, Minnewaska State Park Preserve provides some of the most fun-filled outdoor adventures in all of New York. 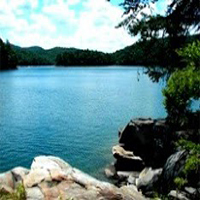 The park features diverse attractions and a beautiful rugged terrain. Treks take you through dense hardwoods to waterfalls, crystalline lakes, ledges, river valleys and beautiful open spaces. There are approximately 40km of footpaths and 56km of carriageway trails to hike on. For those that enjoy taking challenging hikes, you can take on steep trails that lead to rock climbing spots. After a long and epic trek, visitors can enjoy a picnic while relishing the surrounding beautiful scenery. Minnewaska State Park opens from 9:00am to 7:00pm all through the week, allowing visitors to enjoy the best day hikes in New York.